Any foodie worth their weight in truffles follows a recipe. This wisdom weaves its way through many aspects of life. Have you been yearning to discover a recipe to cook up a spectacular day? It’s time to check life’s pantry to inventory your ingredients. Let’s create an inspired, progressive and delicious day worthy of a Michelin star. Who’s hungry? 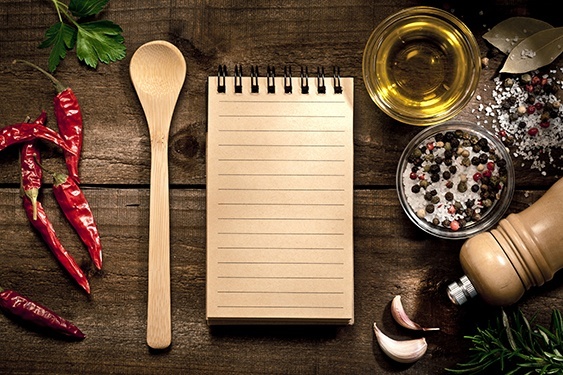 Chef Curtis Stone says, “If you use quality ingredients, you don’t need anything fancy to make food delicious.” The same holds true about creating a healthy and productive daily routine. Identifying the key ingredients takes some level of practice and discovery. Each day provides a chance at zeroing in on that coveted list. Build your day upon a relaxed foundation. Enjoy the benefits of lower stress, improved circulation and a positive outlook. Even if this was all you did for the entire day consider it a great day. 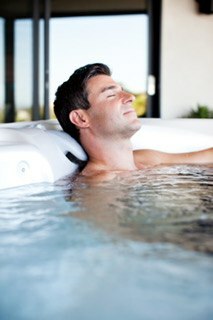 Floating in a hot tub helps reduce physical and emotional pressures. The result: you float through your day. Leave your options open for a nighttime plunge. It’s a nice send-off for a restful night’s sleep. Foods free of additives, fillers, added sugars and preservatives are the goal. Read food labels to identify the healthy foods you want in your body. Organic fresh fruits and vegetables are available at most markets. They are free of pesticides that are harmful and difficult for your body to process. The adult human body is 60% water. Many essential body functions are dependent upon water. Water regulates body temperature, converts food to energy, and delivers oxygen throughout the body. Your body cannot function well without water. To avoid dehydration an adult male needs about 100 ounces per day and an adult female needs about 75 ounces per day. This includes the water content in foods. Exercise creates many health benefits including lowered blood pressure, heart rate, and cholesterol. It boosts your energy level and strength. Recent trends suggest that you shoot for 10,000 steps per day to achieve optimal benefit. This is the equivalent of approximately 5 miles. Unrealistic for some. 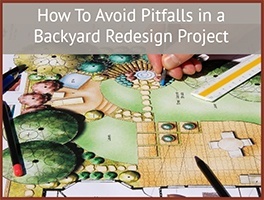 The rule of thumb is to start slow and build up to a level that provides a positive effect. The James Howell proverb, “All work and no play makes Jack a dull boy,” has been around since 1659. It rings true in today’s society. We must set aside time each day for something that feeds the best parts of ourselves. You may need to schedule your “me time” as an appointment. Commit to attending it each day to reap the rewards. The average adult needs 7 to 9 hours of restful sleep per day. Some people struggle to get enough sleep. One in three people suffer from insomnia that robs them of the rest they need. Doing things like spending time in a hot tub, eating healthy food, getting exercise and doing enjoyable things improve sleep. Developing a new routine takes practice. Research suggests that it takes 21 days to form a new habit. Commitment is an obvious requirement. Hard work is a guarantee. The benefits will flow freely. The ingredients to create a spectacular day are ready for consumption. The ingredients to create a spectacular day are ready for consumption. Go out and create an inspired, progressive and delicious day. Pair it with a beverage of your choice sipped with enthusiasm on your hot tub deck. Your Michelin star is waiting. 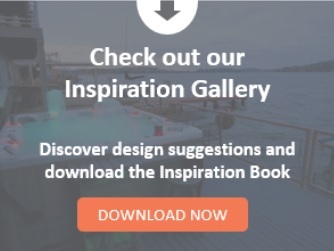 If you’re a hot tub owner we would love to hear how your hot tub fits into your recipe for life. For those of you searching for that recipe a Caldera Spas hot tub is always ready to serve. 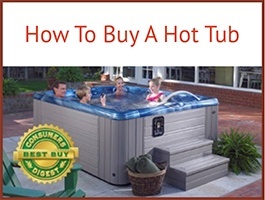 We are passionate hot tub enthusiasts and appreciate your interest in learning. Please look to us as a resource for helpful information. At Caldera Spas we take pride in helping you find ways to “Come to Life.” We know you’re worth it. Feel Good. Live Well. We’re all in this together.